World Water Day is celebrated annually on the 22nd March. This year, the focus is on the link between water and jobs: not just those who work in the water sector but about how countries can benefit in a myriad of ways if their populations have improved access to safe water and sanitation. Sustainable Development Goal 6 works to “ensure availability and sustainable management of water and sanitation for all”. This isn’t just because access to clean drinking water is now considered a human right, but because the eventual achievement of so many of the SDGs relies on healthy populations who are able to work, go to school and have enough food and water. 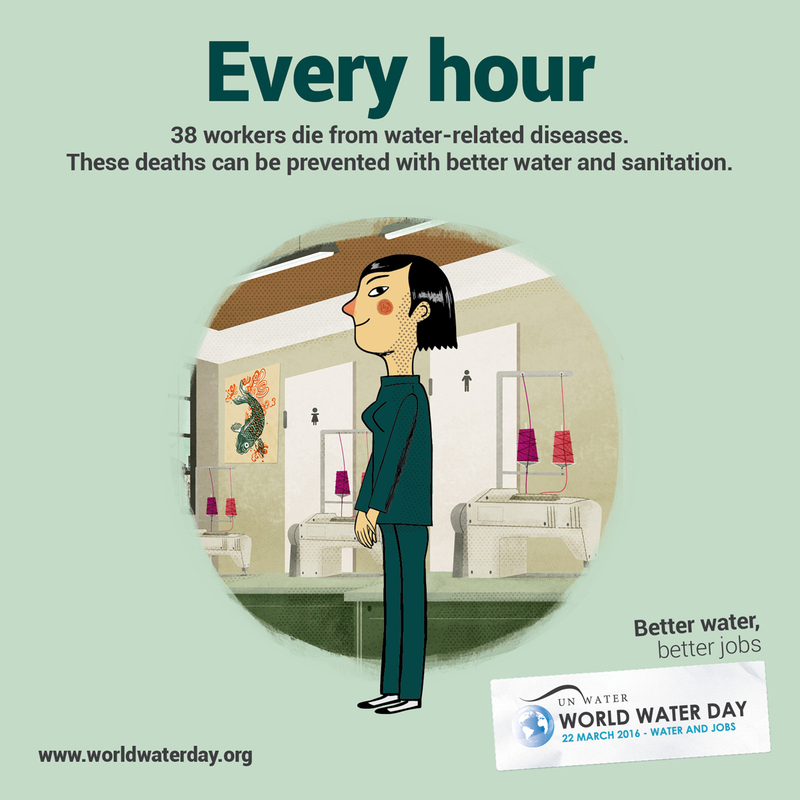 World Water Day 2016 is right to focus on the financial gains that safe water access can bring: the WASH sector itself is only a small part of the global water employment ecosystem but is constantly evolving and innovating, providing jobs from London to Lusaka. Beyond the WASH sector, water is essential to the ability to work and provide: clean water means fewer sick days, fewer days missed from school, fewer days lost queueing for water; more money that doesn’t have to be spent on ‘unofficial’ water sources or medicine. To find out more, follow along on Twitter using the hashtags #WorldWaterDay and #WaterIs.